The risk associated with rainfall-induced landslides in loose pyroclastic soils — which is widely spread across the world, especially in the subtropical zones — is recognized as increasing over the last decades, under the increasing heavy rainfalls likely caused by climate change and/or due to an exposure growth of communities and assets located at the foot of vulnerable slopes. 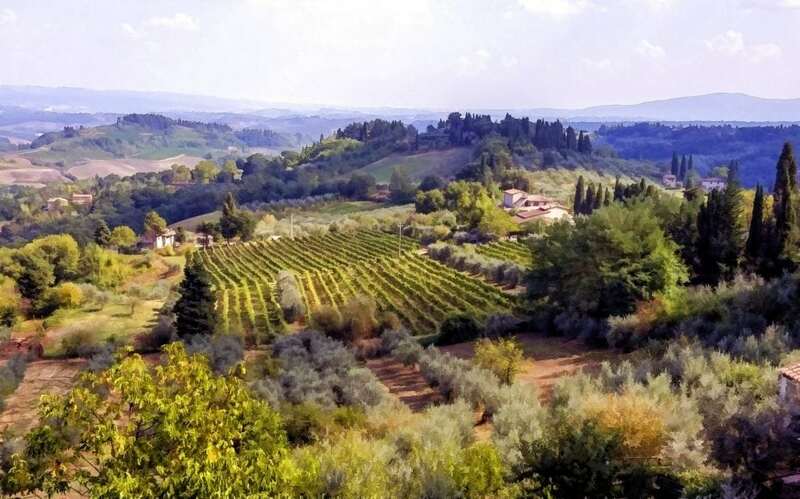 In Italy, research has recently accelerated in investigating the hydrological behavior of these soils, especially after the famous events occurred in Sarno and Quindici (Italy, May 1998) which caused more than $50 million in losses and killed nearly 200 (source MunichRe). As the remarkable role of antecedent conditions in triggering events, the proper evaluation of evaporative losses has gained increasing relevance for the interpretation of case studies and development of predictive tools for early warning systems (EWSs). On the other hand, neglecting such losses, albeit erring on the safe side, could result in overly conservative assessments of slope stability. Implementing assessments of evaporation losses in EWSs requires a proper knowledge of evaporative atmospheric demand and expeditious tools to convert it in actual values mainly regulated by soil water contents. The first issue is strongly affected by the availability of reliable and near monitoring data supporting proper evaluations while, for the second issue, in last years, research efforts have been mainly focused on calibration and validation of evaporation models for sands or plastic (silty and clay-rich), the most widespread at the global scale, while ad hoc models validated specifically for non-plastic silty pyroclastic soils are instead not available. The recent paper “Estimating actual and potential bare soil evaporation from silty pyroclastic soils: Towards improved landslide prediction,” by Rianna, Reder, and Pagano (2018), published in the Journal of Hydrology, attempts to address these questions. The investigations are supported by an availability of observations of both weather (temperature, wind, humidity, solar and net radiation, soil heat flux, wind) and soil variables (water content, suction, and temperature) provided by a large-scale lysimeter (area: about 1.3 m2, soil depth 0.75). It consists of a silty pyroclastic layer, put in place in a tank by pluvial deposition, exposed to weather elements over several hydrological years (September 2010-August 2014) in Naples (Southern Italy) and maintained with a bare surface to limit the complexity. This assumption is reasonable as part of the evaporative flux takes place through soil-atmosphere contact also under vegetated conditions. In addition, model validation assessment is advised initially under simple conditions even in view of subsequent assessment under a more complex, vegetated surface. According to the authors, the accuracy in estimating atmospheric demand is the main function of the availability of some key meteorological variables (temperature, wind, and radiation) recorded at the site involved in the prediction; a rough assessment only through temperature-values leads to inaccuracy >50%. Wind velocity and net radiation observations, in addition to temperature measurements, are crucial in increasing accuracy estimation, and the adoption of related sensors is, therefore, strongly recommended. This conclusion is not surprising, as these elements regulate the main mechanisms driving evaporation; the contribution of monitoring data for relative humidity and soil heat flux appears less significant. The findings could support a design for monitoring suites to underpin operationalization of early warning systems for landslide prediction in pyroclastic covers and for all the cases where antecedent soil water status appears relevant. Concerning the second issue, the authors calibrated and validated four simplified evaporation models (Ritchie, Stroosnijder, Allen et al, and Aydin), characterized by four different control variables (respectively, cumulated losses, cumulative potential evapotranspiration, water content, and soil suction). Their feasibility for silty pyroclastic soils, characterized by wide grain size distribution, non-plastic behavior, and high porosity, is yet to be verified, as the literature in this field provides no indication on the matter. Literature-based calibrations of their parameters lead to poor performances, while the recalibration based on experimental data specific for silty pyroclastic soils resulted in satisfactory performance, regardless of the approach considered; this brought to light the importance of providing updated and specific indications referring to the calibration of evaporative models for the soils considered in this study. Although the selected models behave differently in predicting actual evaporation intensity over time, they all show potential for working in early warning predictive tool, as they contribute to reliably predict experimental water storage evolution. Although these findings represent the first available results for soils of this type, they provide a basis for confidently adopting such models in developing expeditious tools to assess water content on slopes mantled by similar soils. These findings are described in the article entitled Estimating actual and potential bare soil evaporation from silty pyroclastic soils: Towards improved landslide prediction, recently published in the Journal of Hydrology. This work was conducted by Guido Rianna and Alfredo Reder from the CMCC Foundation, and Luca Pagano from the Federico II University. Guido is a research scientist at the Centro Euro-Mediterraneo sui Cambiamenti Climatici, REMHI. Alfredo is a research scientist at the Centro Euro-Mediterraneo sui Cambiamenti Climatici, Regional Models and geo-Hydrological Impacts. Luca is a research scientist at the University of Naples Federico II, Department of Civil, Architectural and Environmental Engineering.